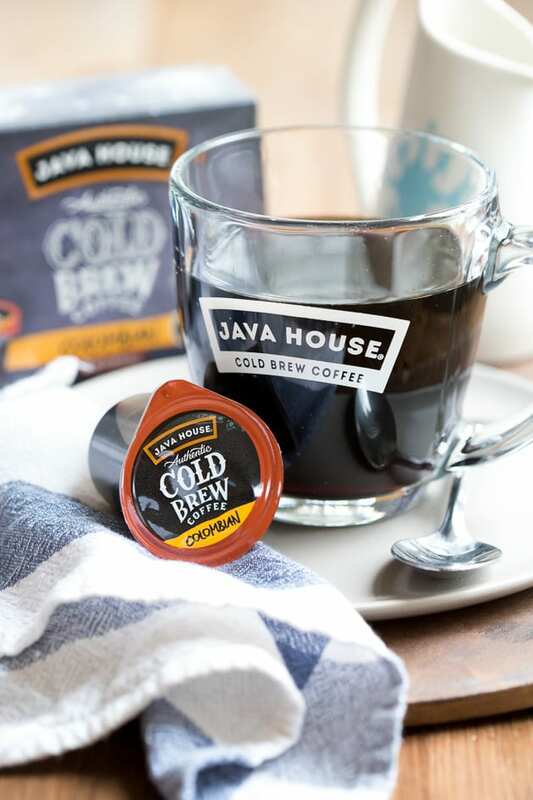 A classic New Orleans coffee drink with chicory that’s bold, sweet, and creamy, made even easier with Java House Dual-Use Liquid Coffee Pods. You guys know how much I love my coffee, right? I mean, it’s important enough to be listed in my Instagram bio, which means it’s pretty high up there on my list of priorities. 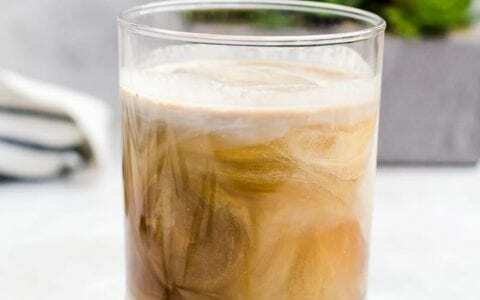 And when it comes to the hot coffee vs iced coffee debate, I’m totally and 100% team iced coffee. But you know what’s one better than iced coffee? Cold brew. 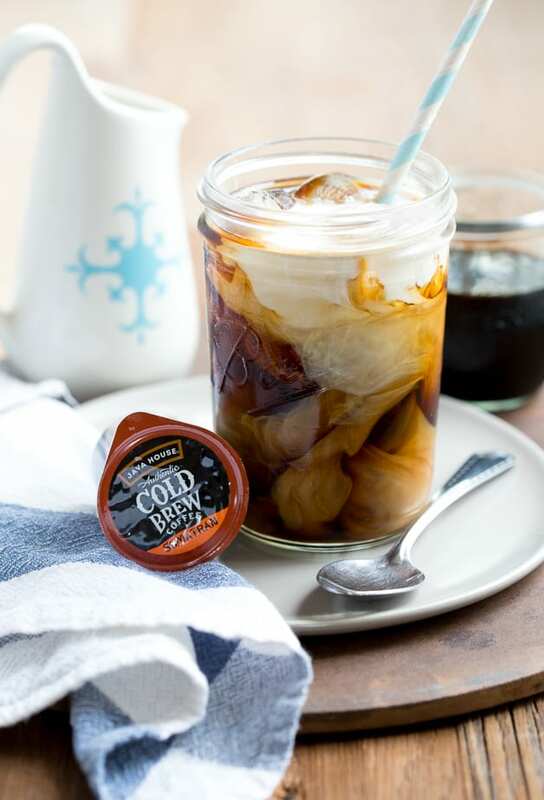 And you know what makes cold brew even better? When it takes about 5 seconds to make at home. Owing it all to these Java House Dual-Use Liquid Coffee Pods which, like I mentioned, are a GAME-CHANGER. 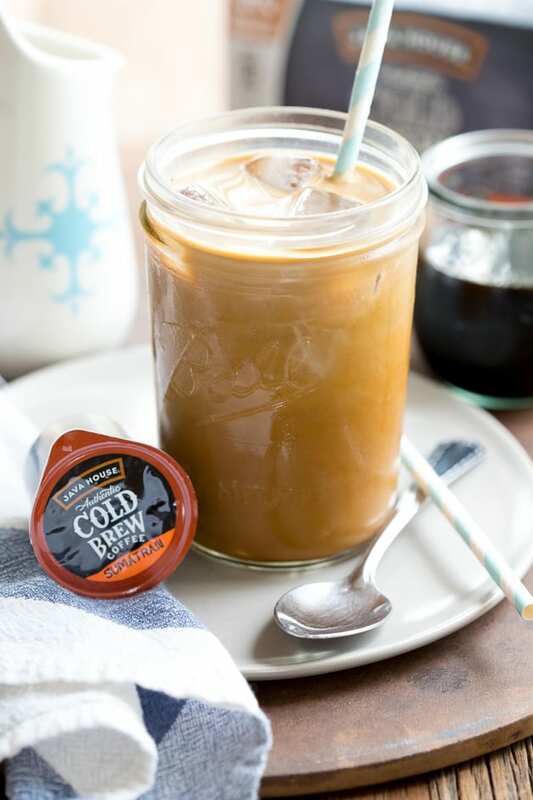 So here’s the deal; let’s back up a little bit and talk about this whole iced coffee vs cold brew thing. Rather than being coffee that’s brewed normally (i.e. 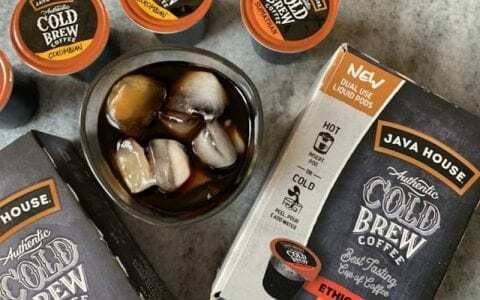 hot) and then chilled, cold brew is coffee that’s been steeped in cold water for a long period of time to give you a product that doesn’t have the same acidic, sometimes bitter taste that hot coffee has, but instead has a smooth, rich flavor of its own. 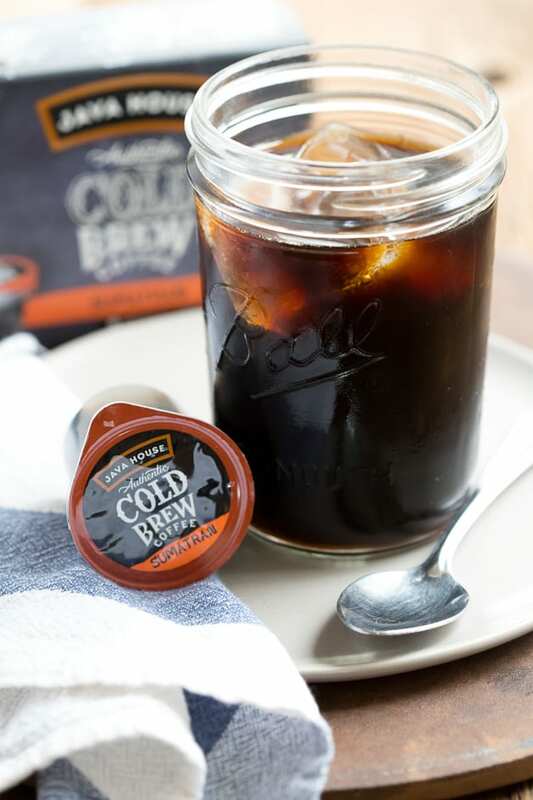 I actually find that I enjoy cold brew served black more than traditionally-brewed hot coffee for this very reason – it goes down smoother. And in this case, it’s also wayyyy easier to make. All you do is grab a pod, pour it over ice along with 8 ounces of water, stir, and sip. And if you’re on team hot coffee, it’s just as easy! 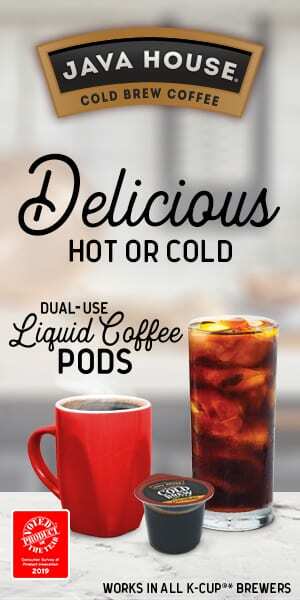 You can use the pods in a single-serve coffee brewer or just mix one with 8 ounces of hot water from a kettle. But today, we’re keeping things chilled for this New Orleans Cold Brew. Traditionally, New Orleans Coffee is coffee brewed with chicory, the root of a perennial plant. 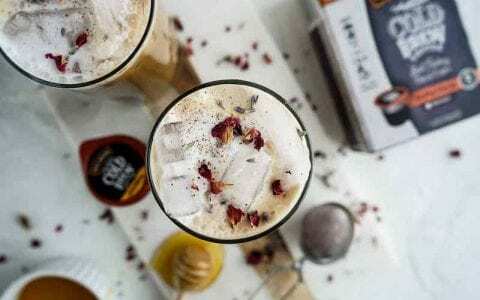 Not only is it cheaper than coffee (a large part of the reason why it’s been used as a coffee addition/substitute throughout history), it adds it’s own layer of flavor that compliments the coffee really well. In this case our coffee is already made (thank you Java House), so instead we’re making a chicory simple syrup to add to the coffee for that distinct chicory flavor and a little touch of sweetness. 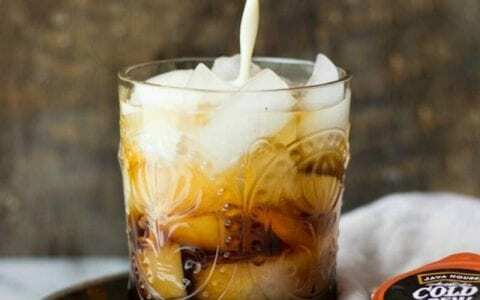 Then when it comes time to serve, all you have to do is combine your cold brew liquid with water and the chicory syrup, add half-n-half, and drink up! It’s so easy it’s almost dangerous, because this stuff is VERY easy to drink. 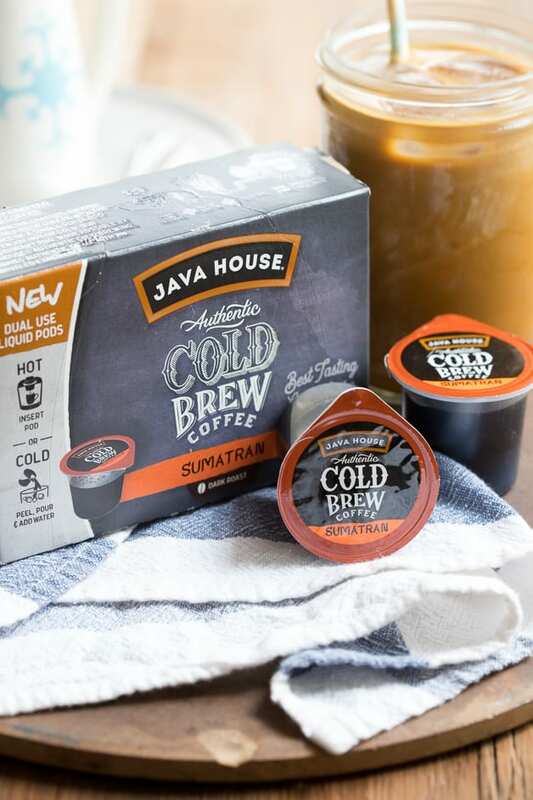 One last note about where to find the products for this recipe (because I’ve already talked too long for a recipe that takes about 5 minutes to make): The Java House Dual-Use Liquid Coffee Pods are available in-store at Walmart and Target, and online at Walmart, Target, Amazon, and JavaHouse.com to name a few. Visit JavaHouse.com for a complete list of retailers. 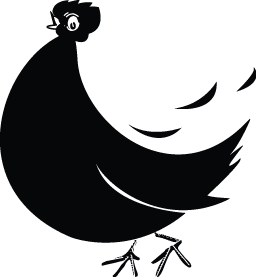 You may be able to find Chicory at your local specialty foods store, but be careful about blends that contain barley or other gluten-containing ingredients if you need to be gluten-free. You can easily find 100% pure chicory on Amazon. Combine all ingredients in a small saucepan set over medium-low heat. Heat, stirring often, until sugar has dissolved and chicory has steeped into mixture. Strain through a fine-mesh sieve into a jar and keep refrigerated. 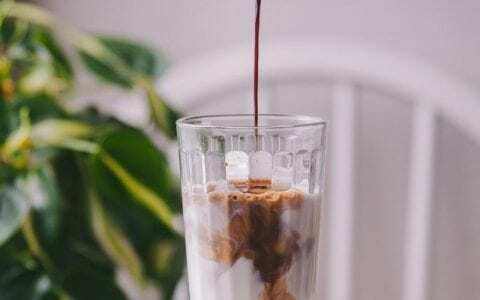 Add water, Java House Dual-Use Liquid Coffee pod, and chicory syrup to a tall glass or jar filled with ice and stir together. Top with half-n-half, stir, and enjoy! *Many times chicory is found in a blend for brewing that contains barley or other gluten-containing ingredients. 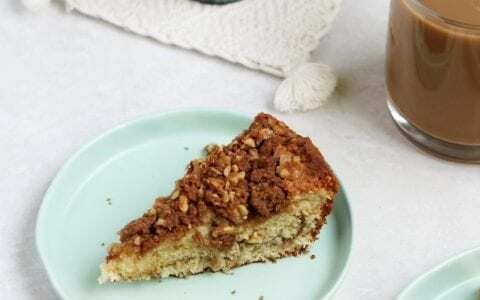 Look for pure chicory to keep this recipe gluten-free.